When faced with the task of buying a new Wi-Fi router, you’re faced with many options. As you gaze down the aisle or scroll down the page, look for these five key features to optimize the use of your Wi-Fi router. Having a dual-band router creates two subnetworks that operate on two different frequencies: 2.4 Gigahertz (GHz) and 5 GHz. 5 GHz connections offer higher performance, making it ideal for online gaming and streaming, while 2.4 GHz provides better Wi-Fi range throughout the household. 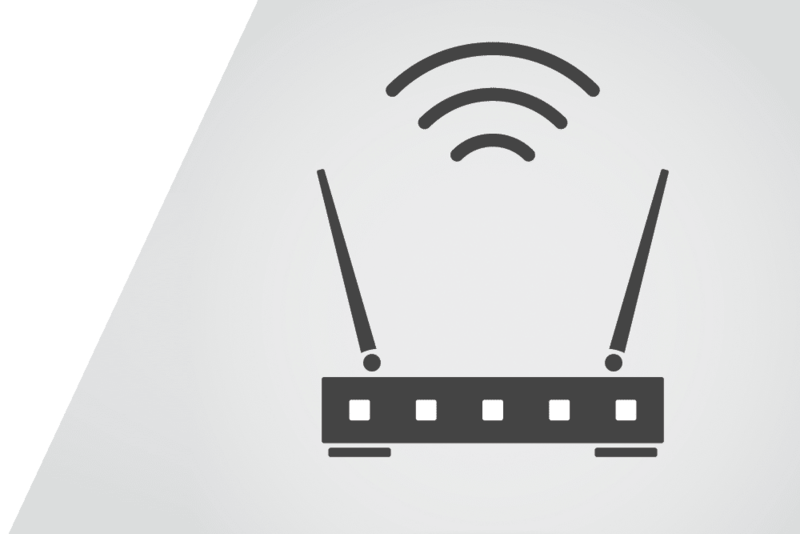 Additionally, routers that feature “band-steering” look at the devices on the network and guide the older, slower devices to the 2.4 GHz connection and the newer, faster devices 5 GHz connection. You can set up a guest network through your router that gives visiting friends and family access to the Internet while restricting access to your primary home network. In the same vein, some routers allow you to set up parental controls or access restrictions that block certain sites or restrict the time/hours that a child can be online. A router that supports WPA Enterprise provides security through unique authentication encryptions on external servers. WPA Personal security uses a simple password to allow Internet access. The traffic meter feature of a router not only monitors the data consumption of both uploads and downloads of all the devices on the network, but can also notify you when you approach any pre-set data limit. It can also disconnect your Internet connection to prevent overages and additional charges (depending on your service plan). While it seems like a relatively basic thing, having a physical button or switch to turn your router on and off can save you from having to navigate confusing configuration settings or pulling the plug on your Wi-Fi router when a network issue arises.